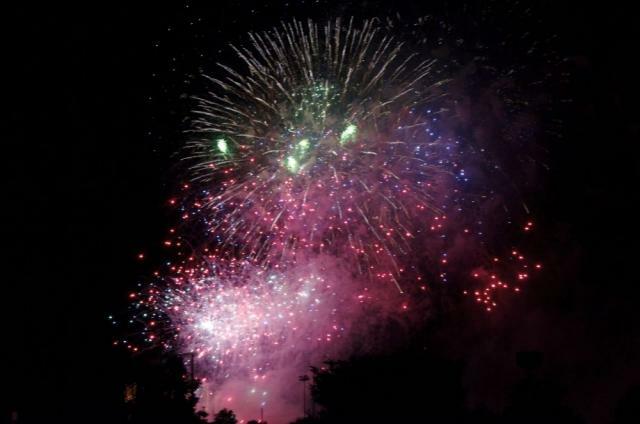 The Central Pa 4th Fest's annual fireworks show rocked the skies of Penn State's east campus on Friday evening. Beginning with the lone call of a bugle and a single firework, the display grew over 45 minutes, culminating in a blistering barrage of echoing booms. Though the crowd was silent as the reflections of light on the drifting smoke faded, everyone quickly exploded into applause. 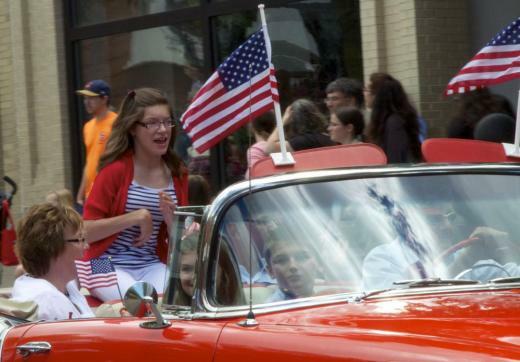 Dave Romancheck drives over three hours from Allentown each year with his family to attend the Central Pa 4th Fest. A self-described “fireworks fanatic,” Romancheck says he’s always been impressed by the sheer size of the festival’s fireworks display. Noah Mumma came to see the fireworks for the first time after his sister Sarah insisted they come. Sarah says her husband read about 4th Fest’s extensive reputation online and brought them last year. 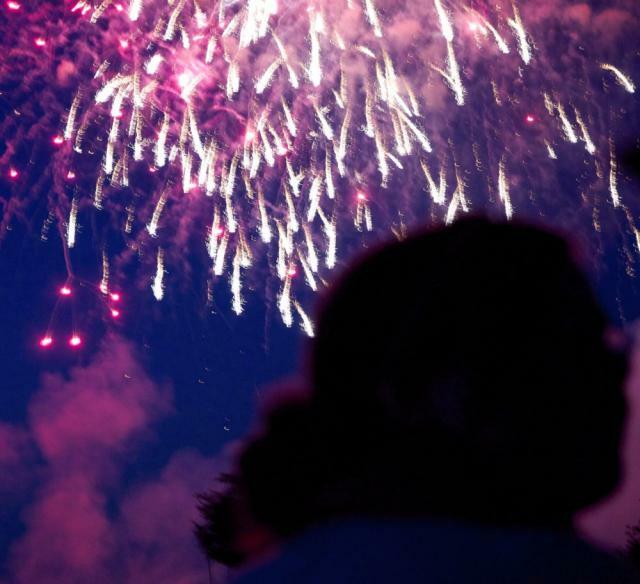 Erin Sloan remembers first watching the 4th Fest fireworks as a student at Penn State in 1996. She’s amazed at how the festival has grown into the major event it is today, but says they’ve kept the same focus on putting on a quality show year after year. 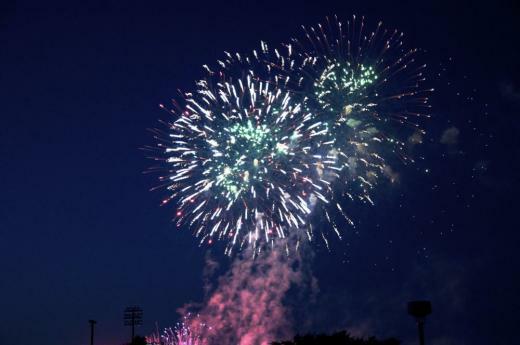 For some festival goers like Harvey Hanlen of Boalsburg, the fireworks were “absolutely great” but second to the real focus: spending time with family. Every few years, Hanlen gathers up the clan in the Stormstown area in his RV and they tailgate together outside Beaver Stadium on the Fourth of July. Though he jokes they just wanted an excuse to watch the Pirates game outside, he says tailgating is his favorite part of the day. 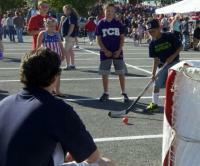 “I like to think of it as warming up for tailgating in the fall,” Hanlen says. 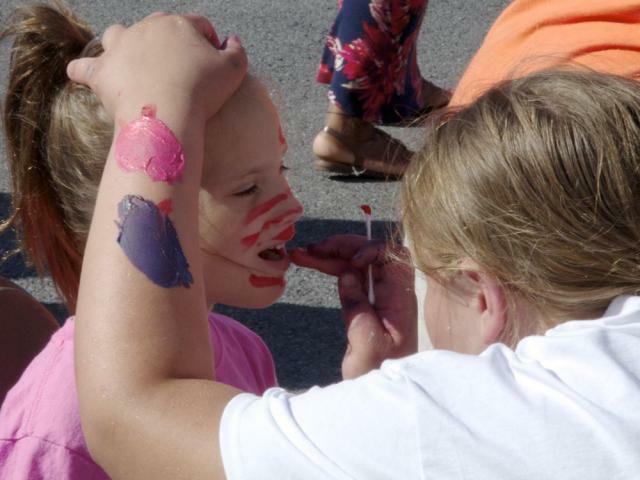 For other families at Friday’s annual festival, a line up of live music and performances kept festival attendees of all ages happy and entertained. Phillip Buczney, an excited child up from Florida with his family to visit his Penn State sister, says his favorite part of the day was watching the lumberjack competition. 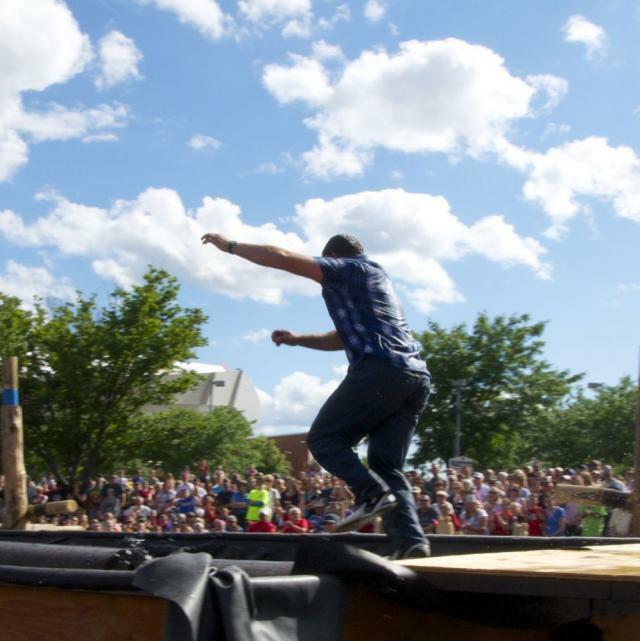 Jamie Fischer and Nate Greenberg, both professional lumberjacks from Minnesota, made their return to the 4th Fest to compete in log rolling and racing chainsaws after receiving a warm welcome last year. 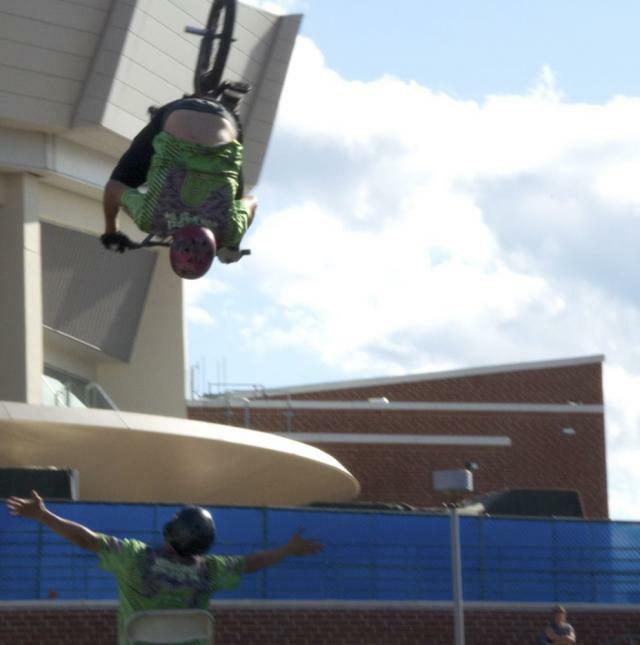 A BMX performance from the Dialed Action Sports Team of Boalsburg also impressed the crowd. Featuring coordinated flips and seemingly impossible mid-air twists, their high flying tricks were a source of inspiration for some aspiring BMX bikers. Attendees also enjoyed performances ranging from the Irish footwork of the Tir Na Nog Dancers to the funky blues of Jackie Brown and the Gill Street Band. 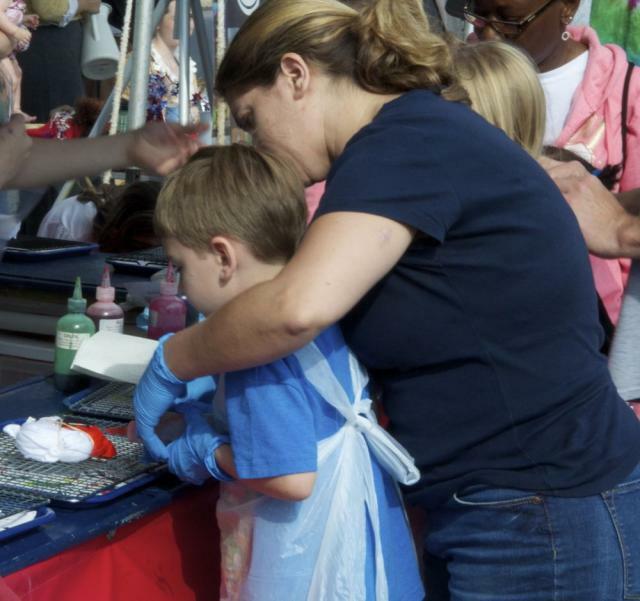 Though State College resident Andy Richards says his son Liam missed last year’s carnival rides, he enjoyed meeting wild animals at the new booth from the Shaver’s Creek nature center. 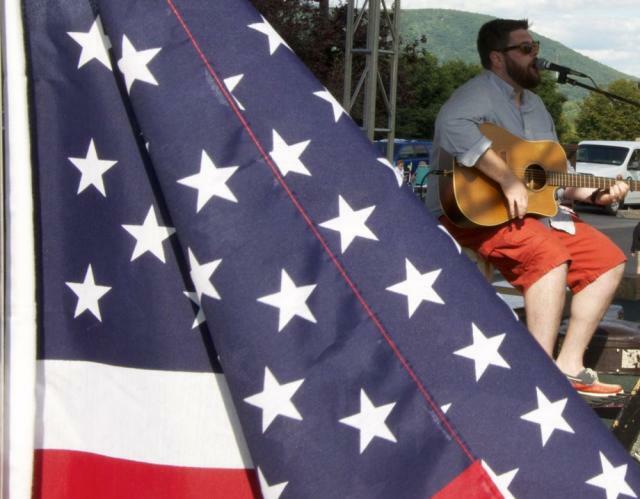 For many who keep returning to the Central Pa 4th Fest year after year, the annual event helps elevate the area from being just a town to being a closely-knit community. 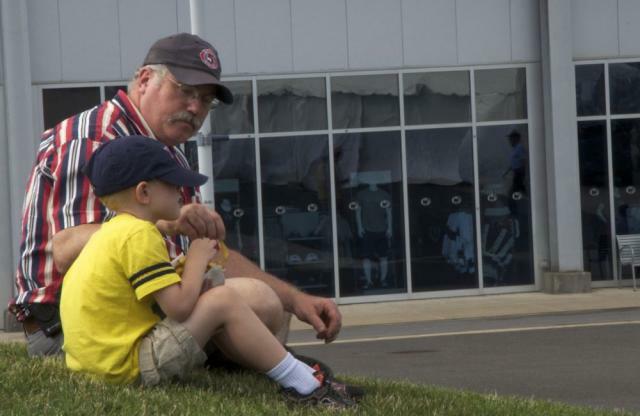 Andy Richards and his son Liam enjoy the cool weather and french fries at the Central Pa 4th Fest. Lumberjack Jamie Fischer runs across a series of floating logs in the lumberjack competitions at the Central Pa 4th Fest. Becky Romancheck of Allentown helps her son make at tye dye shirt at the children's activity station at the Central Pa 4th Fest. 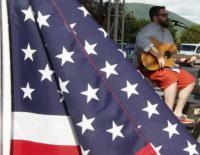 Chris Good preformed a mix of acoustic covers to an crowd of families gathered on the Bryce Jordan Center lawn. Kailyn Lach says her favorite part of the day was getting her face painted like the American flag. 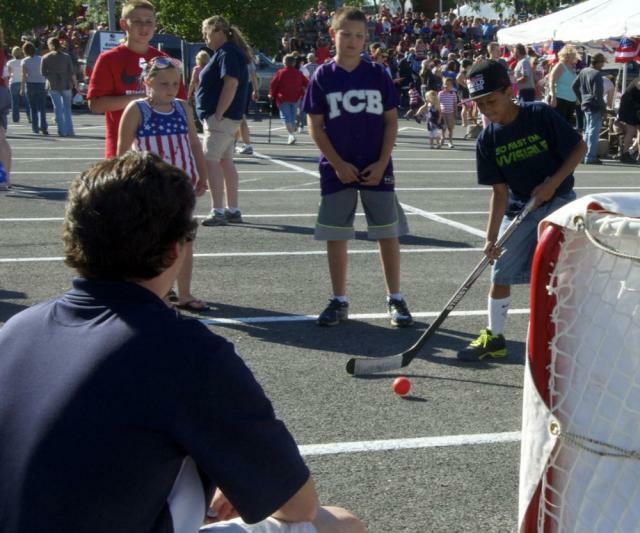 Shawn Rock of Connecticut scores a goal at the kids activity station at the 2014 4th Fest. The Dialed Action Sports Team of Boalsburg performed a number of high-flying stunts at the festival. 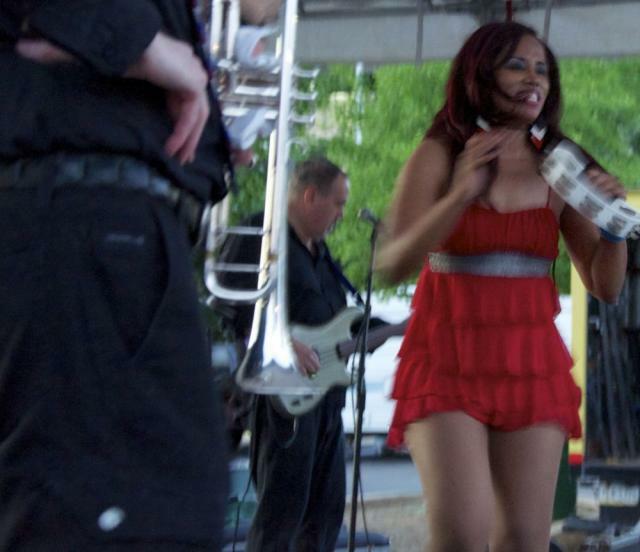 As one of the last musical acts of the evening, Jackie Brown and the Gill Street Band moved a crowd of people to dance through funky grooves. 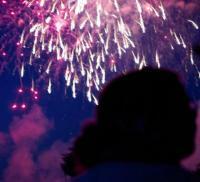 Maddy Kenepp watches the fireworks with her mother at the Central Pa 4th Fest.